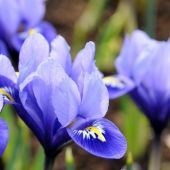 The bulb forming species of iris are very useful for garden planting and 'Dutch Iris' are also very suitable for cutflowers. 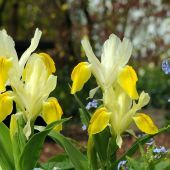 The smaller species are ideal for rock gardens or to brighten a border. 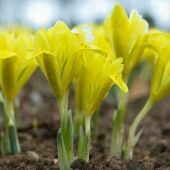 As most other bulbs Iris too prefer a well drained soil. 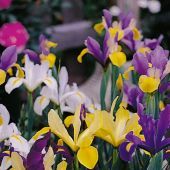 The 'Dutch Iris' are available both in Fall (best for moderate climates) and in Spring (good for planting in colder climates). 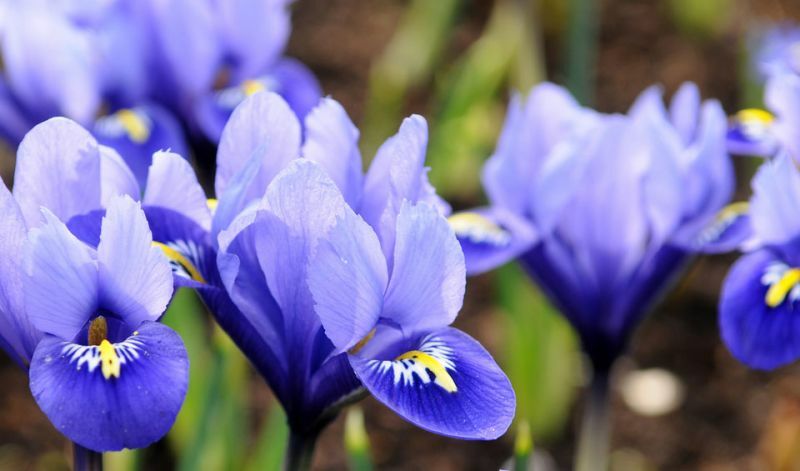 Always plant them in groups of at least 10-15 close together to create the best effect. See the individual species for more specific tips.